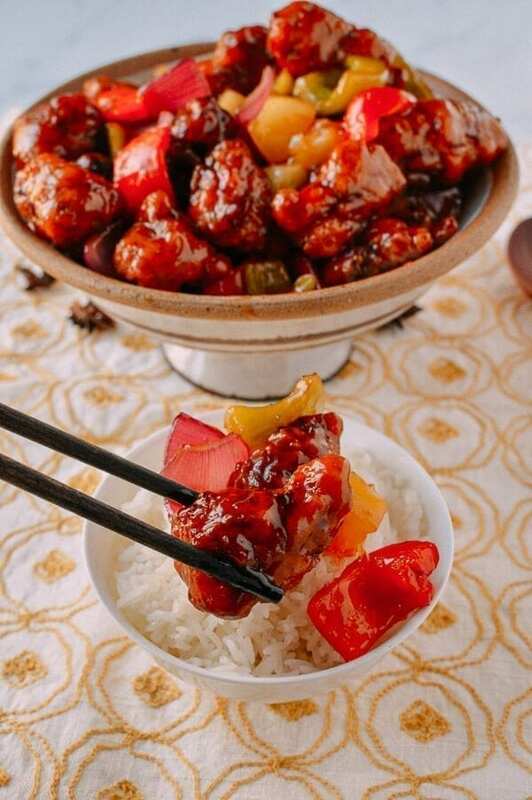 Sweet and sour pork is arguably one of the most popular Chinese dishes in the United States, but as with most classic dishes, it’s difficult to find a go-to recipe. Enter this post! 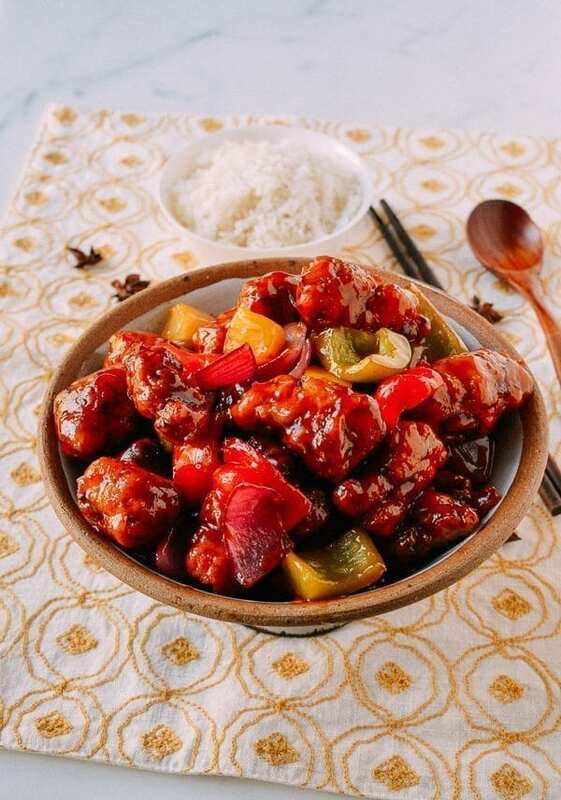 The pork is coated and fried until crispy, with tons of nooks and crannies that catch the sweet and sour sauce. 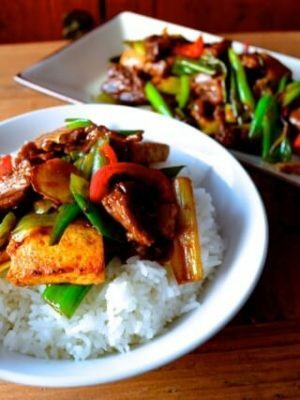 You can use almost any cut of pork for sweet and sour pork, but I decided to use pork tenderloin. 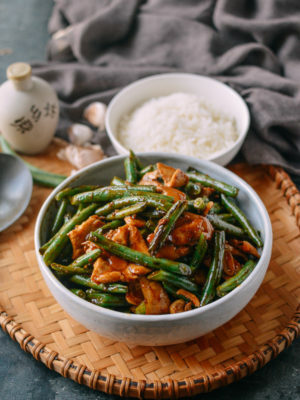 That was what my father always used at the restaurant he worked at in upstate NY, where this dish was called “sweet and pungent pork.” Turns out, if you call it sweet and pungent instead of sweet and sour, you can charge a little more for the same experience! 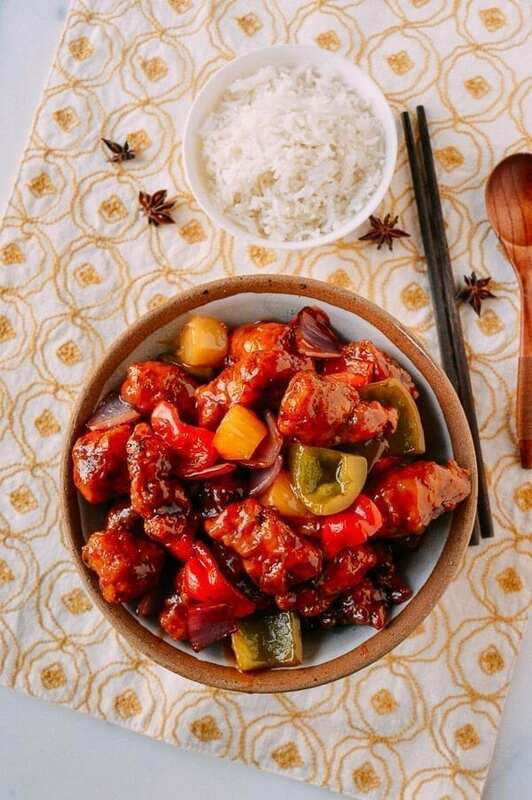 The key to making a good sweet and sour pork is to make a crispy pork and a sauce that uses no added water. 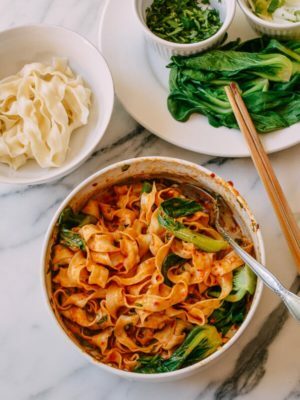 This ensures strong flavors that can clear your sinuses and satisfy any sweet tooth, not a watered down weak sauce that you get in a lot of restaurants and take-out places. 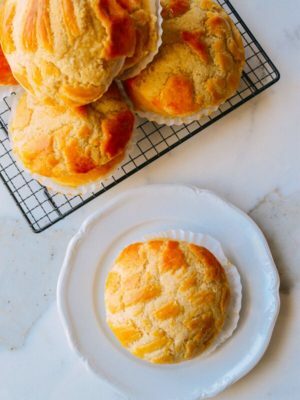 Hope you enjoy this simple, yet delicious classic recipe! Add the marinade ingredients to the pork, and mix everything together until there is no visible liquid. Set aside for 30 minutes. Next, make the sauce. Add 1 teaspoon of oil, ginger slices, and star anise to a small saucepan over medium heat, and cook until the ginger starts to caramelize (about 1 minute). Next, add the ketchup. When that starts to sizzle, stir constantly until the ketchup starts to caramelize (about 2 minutes). 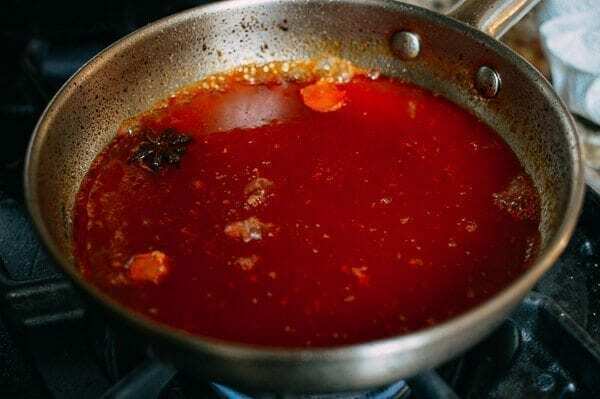 Take care not to burn the aromatics and ketchup–this step is essential to give the sauce a deeper, more complex flavor. Next, add the white vinegar, sugar, and the juice from the canned pineapple. Stir until the mixture starts to simmer, and the sugar is dissolved. Turn to the lowest heat and let the sauce simmer and reduce until the sauce just starts to coat a spoon (about 30 minutes). The sauce needs this time for the flavors to meld. 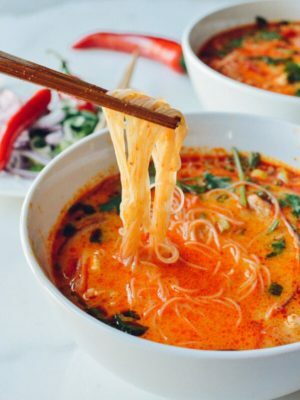 The sauce can be cooled and stored at this time, and you can double or triple the amount and store the sauce away in the refrigerator for future meals. Heat 3 cups of oil to 350 degrees F in a small pot for frying. Using a small pot and frying in batches leaves you with less leftover oil to deal with. After you’re done using it, always let the oil cool completely and use a fine mesh strainer to strain the oil before storing in the refrigerator. 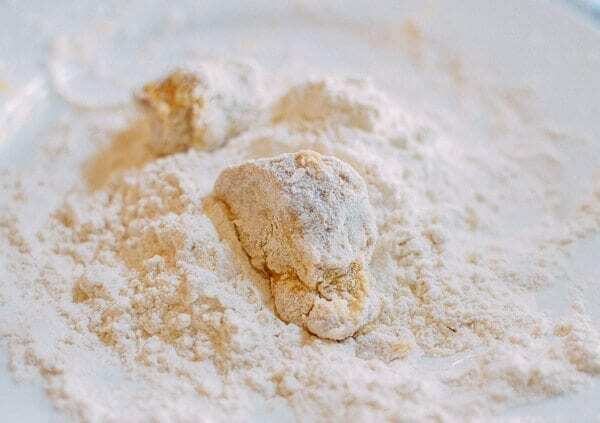 Mix together the dredging ingredients (flour, cornstarch, salt and pepper) in a shallow dish. Dredge the pork pieces in the flour mixture, dip into the egg, and then dredge with the flour again. 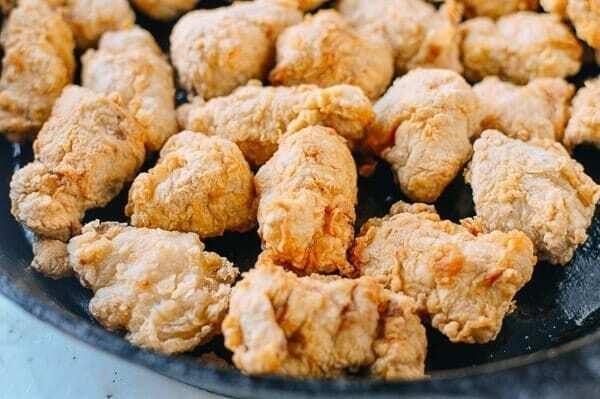 Fry the pieces in batches for about 2 to 3 minutes, or when they just start to get golden brown. Remove them from the oil and transfer to a sheet pan with a slotted spoon or spider. 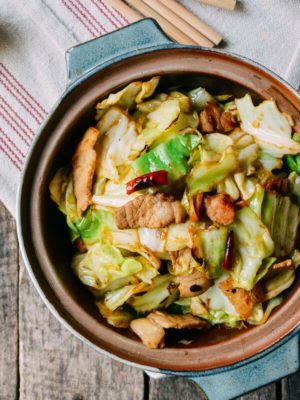 Once you’re ready to combine everything, refry the pork in batches to crisp up the coating. That’s right, they’re going to fry for a second time––this prevents the pork from getting too soggy when added to the sauce. 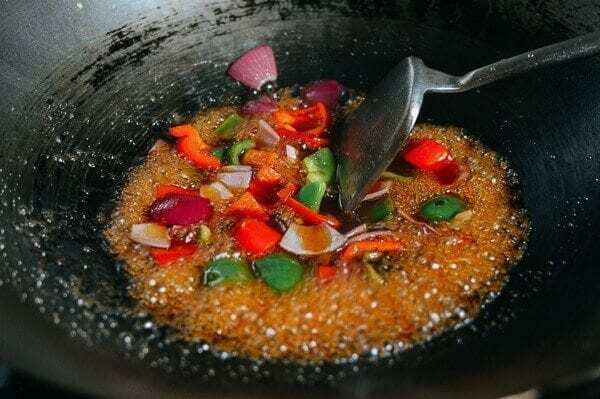 To a clean wok, add 1 tablespoon oil, the bell peppers, and onions. Stir-fry for 30 seconds, and add the sauce and the pineapple. Bring the mixture to a simmer to further thicken the sauce. At this time, you will likely need to add some cornstarch slurry to thicken the sauce further. Add half first and stir for 15 seconds; then decide if you need more. Remember the sauce will thicken more as it cools in the plate, so add only as much as you need. I have to add another note to this recipe that this sauce is very sweet and very pungent! So at this point, you must taste the sauce and add water to it if it is too strong and by that, I mean too sweet or too sour. Once you have it adjusted to your taste and the desired thickness, especially if you added more water, then go ahead to the next step and add the pork. Next, add your crispy pork to the sauce, and toss until the pieces are well-coated. Serve immediately! 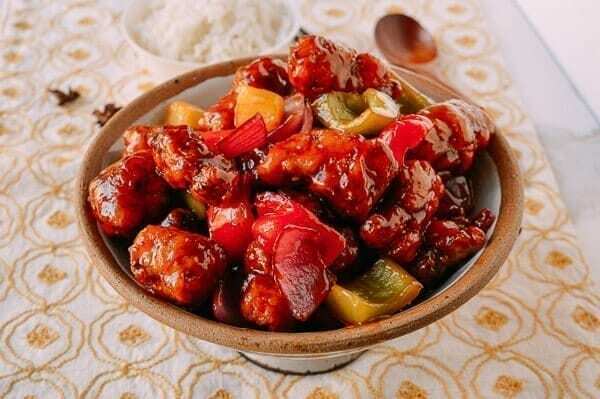 Sweet and sour pork folks. 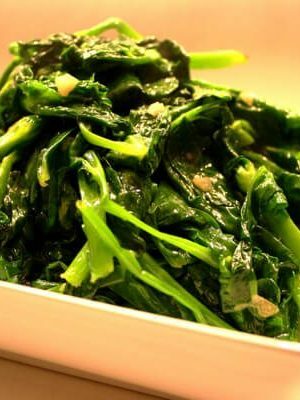 Your family and friends will love this classic Chinese dish! 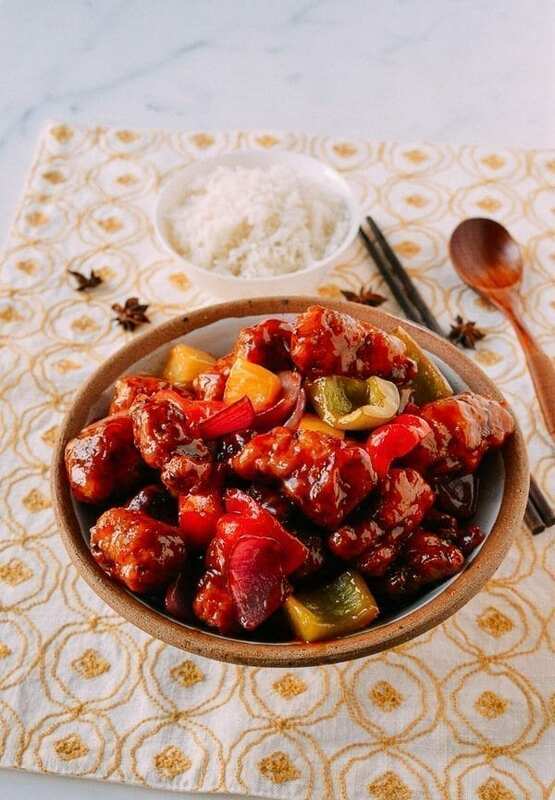 Sweet and sour pork is one of the most popular Chinese restaurant dishes ever, but as with most classics, it's hard to find a go-to recipe. Look no further! Next, make the sauce. 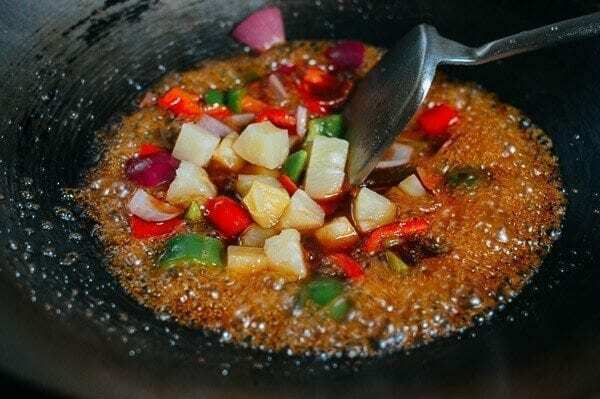 Add 1 teaspoon of oil, ginger slices, and star anise to a small saucepan over medium heat, and cook until the ginger starts to caramelize (about 1 minute). Next, add the ketchup. When that starts to sizzle, stir constantly until the ketchup starts to caramelize (about 2 minutes). 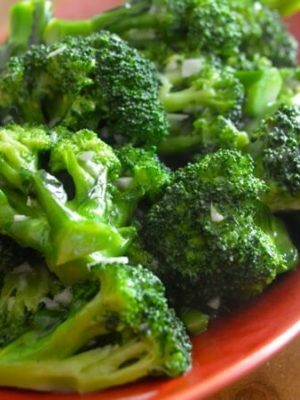 Take care not to burn the aromatics and ketchup--this step is essential to give the sauce a deeper, more complex flavor. Next, add the white vinegar, sugar, and the juice from the canned pineapple. Stir until the mixture starts to simmer, and the sugar is dissolved. Turn to the lowest heat and let the sauce simmer and reduce until the sauce just starts to coat a spoon (about 30 minutes). The sauce needs this time for the flavors to meld. The sauce can be cooled and stored at this time, and you can double or triple the amount and store the sauce away in the refrigerator for future meals. Heat 3 cups of oil to 350F in a small pot for frying. Using a small pot and frying in batches leaves you with less leftover oil to deal with. Always let the oil cool completely and use a fine mesh strainer to strain the oil before storing in the refrigerator. 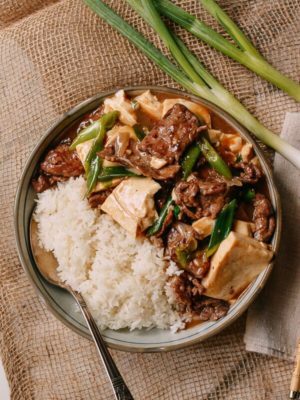 Once you’re ready to combine everything, refry the pork in batches to crisp up the coating. That's right, they're going to fry for a second time––this prevents the pork from getting too soggy when added to the sauce. 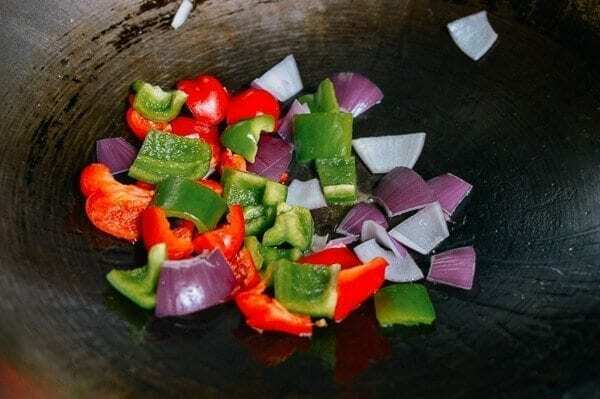 To a clean wok, add 1 tablespoon oil, the bell peppers, and onions. Stir-fry for 30 seconds, and add the sauce and the pineapple. Bring the mixture to a simmer to further thicken the sauce. At this time, you will likely need to add some cornstarch slurry to thicken the sauce further. Add half first and stir for 15 seconds; then decide if you need more. 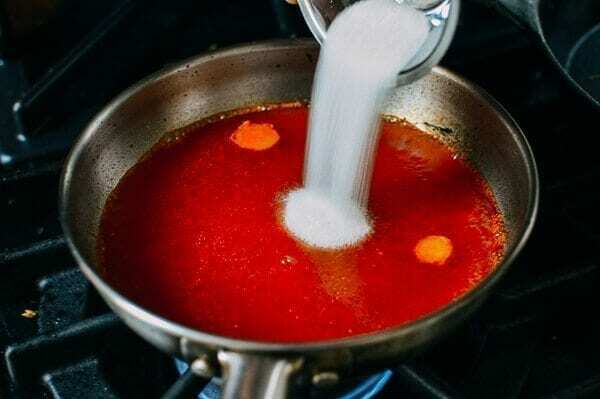 Remember the sauce will thicken more as it cools in the plate, so add only as much as you need. 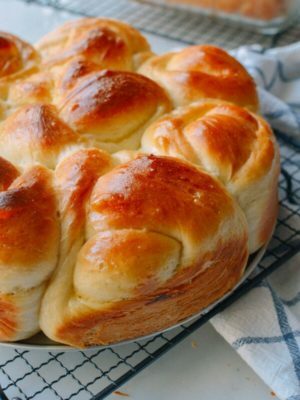 This recipe worked really well, I used cider vinegar and it tasted fine. I only used 1/2 a can of pineapple as I’m not a fan of fruit in savoury dishes which I regretted as the pineapple tasted great. My husband loves sweet and sour pork but our local takeaway makes a dismal version. 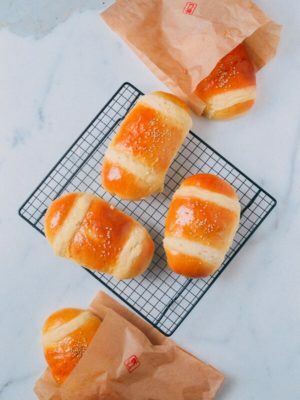 Your recipe is a delight! He loved the sauce so much he kept checking on it during the reduction process to assist with ‘stirring’ and he took your advice to taste test quite seriously, again and again! 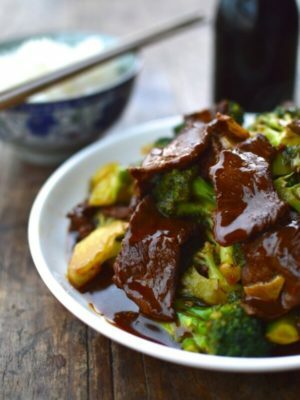 We read the comments and used white rice vinegar which is 4.5% acidic and used just a bit less, hubby wanted to try using dark brown sugar which was super tasty but did change the colour of the dish to a darker shade than one might receive in a restaurant. 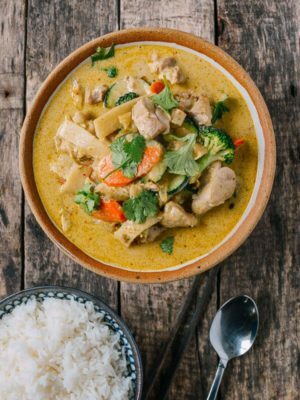 This recipe is a total winner and really works! Thanks again for letting me create a bit of East Coast tastiness in Scotland. Hi Wren, thanks for much for sharing your experience and great to know you are cooking with us in Scotland! I cooked this tonight for the hundredth time. As usual it was as good as it looked. I know a blog is hard work but keep it up for your fans. 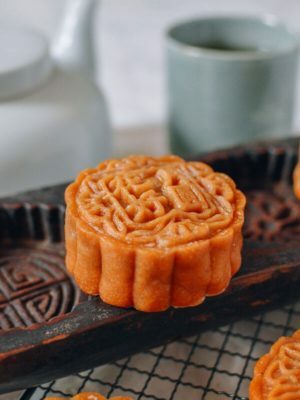 Hi Jerry, I just cooked this dish for an old childhood friend for New year’s eve and confirmed it was the same and as good as my father’s recipe. Thanks for your encouragement! 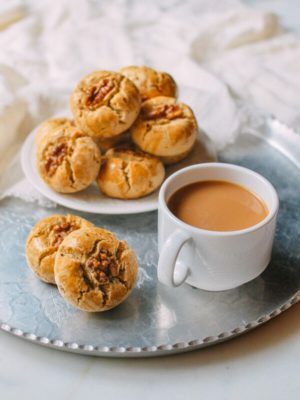 Today I felt like trying something a little out of my usual wheelhouse and stumbled upon this recipe. After reading the comments and noting suggestions (1 cup vinegar instead of 1.5C) I was able to create a meal that my picky and often critical family loved! I did not have any star anise, so I substituted a pinch of five spice and it gave just enough character to the dish. 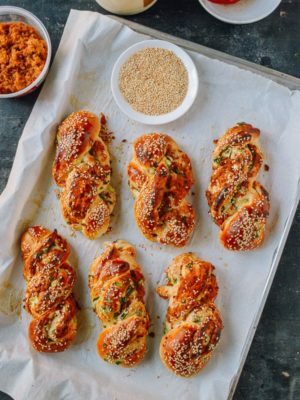 Thank you for the fantastic recipe and I look forward to exploring this site further. Thanks for the responses Bill, nice to see an older recipe still get love. 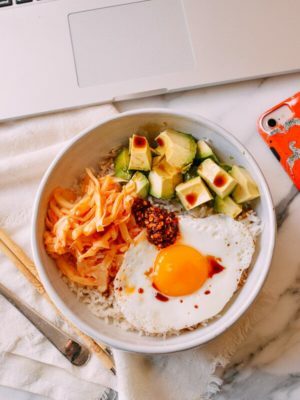 Out of curiosity, have you tried using rice vinegar or any other kind of vinegar? Hi Robbie, I have tried red wine vinegar and apple cider vinegar. They are more flavorful than regular white vinegar. Rice vinegars are usually slightly less acidic tasting depending upon the brand. 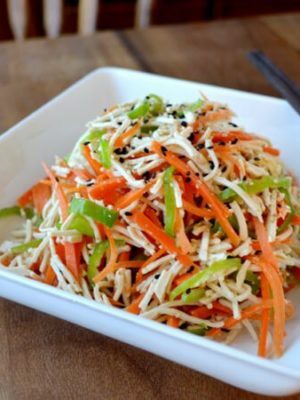 My go to sweet and sour recipe. It comes together quick for such a holsom meal. Thanks again! Waaay too sour! Ruined a lot of food. See my comment response to Cindy. 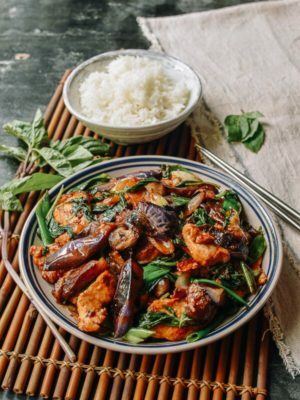 This sweet and sour dish has strong sweet and pungent sour flavors which I think sets it apart from others. Your can dilute the sauce – which is what we did at the restaurant on occasion during the final step before plating if it was too sour or sweet. Happy cooking! Hi Cornelius, That is sour! Will update with some notes but even at 5% acidity, this recipe as written is pungent! Thanks for your comment! 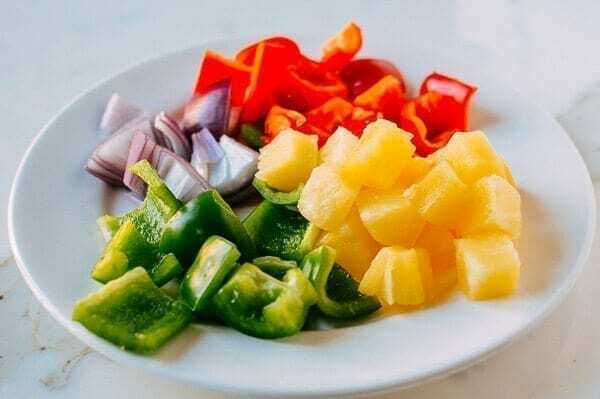 If you add a cup of demera sugar it will be amazing and I use two cans of tidbits n pineapple juice to this recipe instead of using the fresh I cook with the sauce itself. Big difference. And the Chinese 5 spice to the pork marinade so omit the star anise and it will add massive flavour and compliment the dish. I made this dish today and was very disappointed with all the ingredients I wasted. The vinegar was overwhelming. We all choked at the table. It was truly inedible. I followed directions to the letter. This has to be a mistake. Perhaps 1/2c vinegar and the rest water? I don’t know. I immediately threw all veggies and sauce into a colander and rinsed everything off but that didn’t help. Nothing worse for a cook, to through good food away. 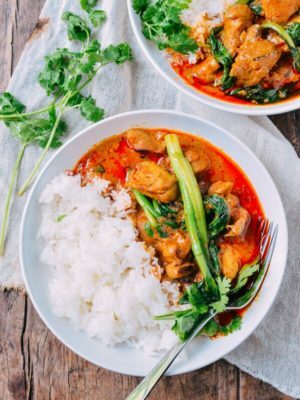 Hi Cindy, Admittedly, this is a very pungent dish – also very sweet. I should have added a note to simply add water to the sauce until it is to your liking. If I triple the recipe does the sauce simmer for only 30 minutes or should the time be x3, 1 1/2hr? Hi Esther, 30 minutes still is correct for simmer time. Because of the larger volume, it will just take a little more time to bring things up to a simmer ;-) Happy cooking!